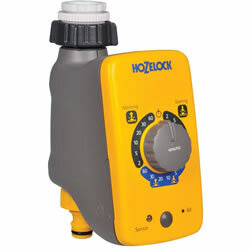 Hozelock have developed a brand new range of watering timers that are simple to set and understand. Simply turn the dial to desired position and your timer will automatically water at sunrise, sunset or both. Because this timer has a light sensor it will automatically turn on and water for the selected duration at the most optimum times for watering, sunrise and sunset. 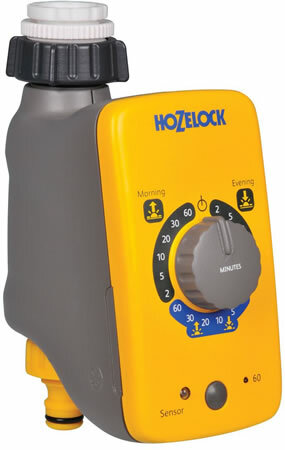 Hozelock have developed a brand new range of watering timers that are simple to set and understand. Simply turn the dial to desired position and your timer will automatically water at sunrise, sunset or both. Because this timer has a light sensor it will automatically turn on and water for the selected duration at the most optimum times for watering, sunrise and sunset. Waters once or twice per day for a duration of 2, 5, 10, 20, 30 or 60 minutes. Manual overide function will water constantly for 60 minutes or until turned off and battery check function. Requires 2x AA alkaline batteries (not included) Supplied with adaptors to fit most standard outside taps 1" BSP, ¾" BSP and ½" BSP. Water now function for 60 mins. Is This Timer Right For Me? 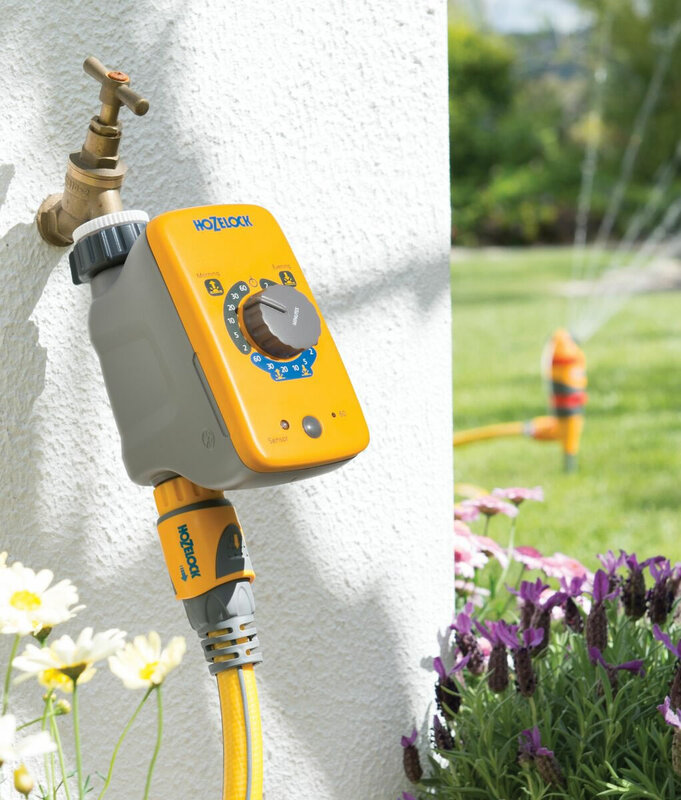 Struggling to decide which of Hozelock's water timers is best suited to your garden's needs?